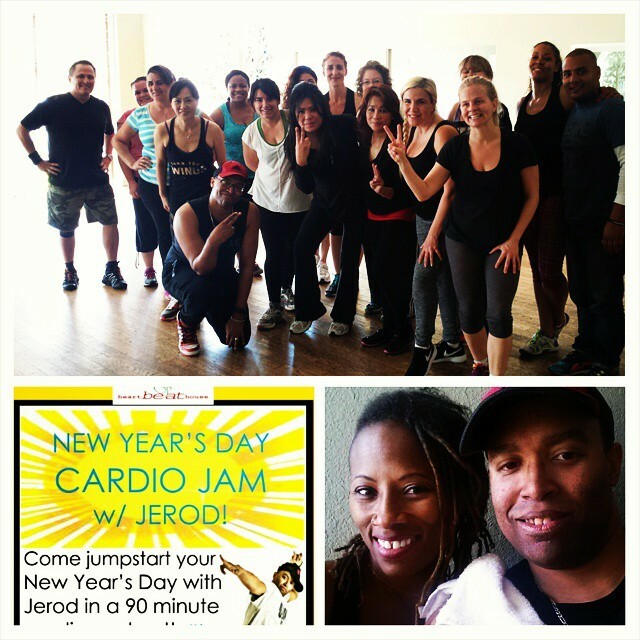 Yesterday, I hosted my first ever CARDIO PARTY by myself and didn’t collaborate with anyone. I have to be honest with you. I thought that it was going to be a flop and that no one was going to show up and I was going to be dancing ALONE at my own cardio event for New Year’s Day. Already a majority of my friends were excited about going to other events around town so I didn’t let it bother me much. I came dangerously close to just canceling it altogether and just joining the in-crowd and finding the sure thing. It really was something that I feared when I hosted this event, but I laid to rest the anxiety and hushed that little voice in my head that said, “LOSER!” and just put this thing together. Not only did I do this event for others, but also I did it to prove to myself that I didn’t need to blend into something and wanted to stand out because I had something unique and I had something to offer. The night before (New Year’s Eve) I stayed home and ran through my checklist of things I wanted to do for this event (even though the confidence level was so low about it). Did my emails, shot a two-minute video, talked to my parents on the phone, re-checked my playlist and laid out the clothes I was going to wear for the next day event. Trust me, this process was maddening! After tossing and turning and waking up all hours of the night, 7:00AM finally arrived and I went to my computer and saw a handful of notifications that I had of people who bought tickets. It made me feel much better and then I just meticulously went through my morning gathering what I needed for my Cardio Event and went over to the studio 90 minutes early to be exact. Got there and practiced my two new songs that I put in my mix and then waited for everyone to show up. It was so refreshing to see a handful of my students who showed up and came to support even some from other studios that I either teach at and/or sub and it was even more amazing that I had an old student and dear friend of mine who I hadn’t seen in nearly six months since she moved to the Westside come over and hug me SO TIGHT and said that she missed me. After that, I knew that I was ready to rock out. Seeing those familiar faces and a few new ones made this event so wonderful and the added bonus was to see my dance cardio partner-in-crime, Tanita, walk into that door like she said she would to come and support. Major props on finding people who are true to their word. I thanked EVERYONE who showed up that day. They all got a FREE class as well as my gratitude! I guess what I’m saying is — you never know your true potential until you put it out there in the universe. You never know what you are capable of doing unless you do it. You don’t have to “depend” and “expect” on others who don’t see the vision that you have. Rely on the fact that “YOU ARE ENOUGH!” I learned that as well in Dr. Nicki J. Monti’s intention setting class after I taught that day.